One of the growing groups of motorists on the Texas highways are commercial truck drivers. Lubbock, Texas is a growing city that has seen an increase in both commercial truck drivers and semi truck accidents. The most common results from an 18-wheeler accident are injuries that can be catastrophic to the drivers and passengers. The following will help you be prepared if you are ever in a commercial truck accident in Lubbock. A large portion of commercial truck accidents happen because of speeding, tailgating, and improper lane changes. Other leading causes include fatigued driving, reckless driving, and driving while impaired. These types of behaviors come from either the commercial truck driver or the passenger vehicle motorist. Serious injuries are often sustained by both parties. In some extreme cases, death can occur. Commercial truck accidents usually end with extensive property damage and severe injuries to the drivers and their passengers. An insurance claim can become a very complicated process, with a number of witnesses, several insurance companies, and local government agencies all partaking in the proceedings. Your claim must show how the commercial trucking company or one of their drivers were responsible for the accident. You can also file a lawsuit to receive compensation from the party who caused the accident. Negligence holds the party in question liable for the injuries sustained in the collision. In some cases, the injured party has an excellent chance of gaining an injury settlement for the amount of monetary loss suffered from the crash. The owner of the trucking company and their drivers must be insured, licensed, and follow regulations and strict guidelines that are created by several state governing agencies. All of their actions will be investigated to determine whether the injured party has a viable personal injury claim or lawsuit. Each victim can gain some form of compensation for their injuries, or the family for the loss of a loved one. Insurance adjusters will investigate all alleged negligent actions by the commercial trucking company and their drivers. It is their job to determine if the company and their drivers complied with the standards set by the local state government agencies. The damage sustained in a commercial truck accident is often magnified because the difference in size and weight between the vehicles. Even a low-speed accident can result in a life-changing injury to the victims involved. They could need a tough rehabilitation program for a long period of time that forces them to miss a significant amount of work, for example. 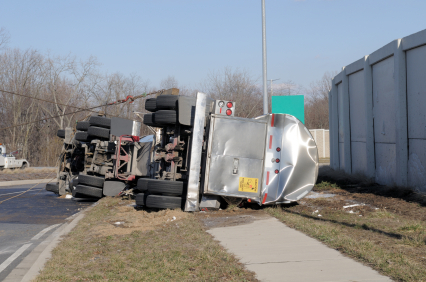 It is important to seek medical treatment if you were involved in a commercial truck accident. Injured parties should contact their insurance providers immediately to get verification on the type of medical treatments covered with their policy. Also, make sure to know the address of each major hospital in the local Lubbock area and how to find a specialist. Most injuries suffered in a commercial truck accident are serious, so the next step is to begin a financial recovery process by making an insurance claim. This can be a complicated process that requires plenty of time and effort to gain a satisfactory outcome. Hiring a car accident attorney in Lubbock, Texas is the best way to get the most compensation for your pain and injuries. If you have been injured by someone else or are unable to file a claim alone, an attorney can save you time and prevent undue stress. Contact Attorney Dean Boyd for more information on how we can help you after a semi truck accident. Call us at (806) 242-3333 or Contact Us by email to learn more about our Services. You can also visit our office at 4423 SW 45th Ave in Amarillo, Texas or 5012 50th St #103 in Lubbock, Texas for more information about how we can help you.